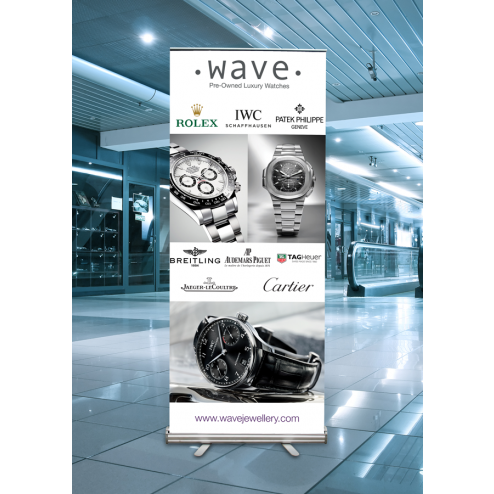 Our Pop Up Roller Banners are the perfect design solution for you if you are short of space of need to transport your advertisement regularly. These are most commonly used for indoor events and can often be found at corporate meetings, presentations or by stalls at trade shows. 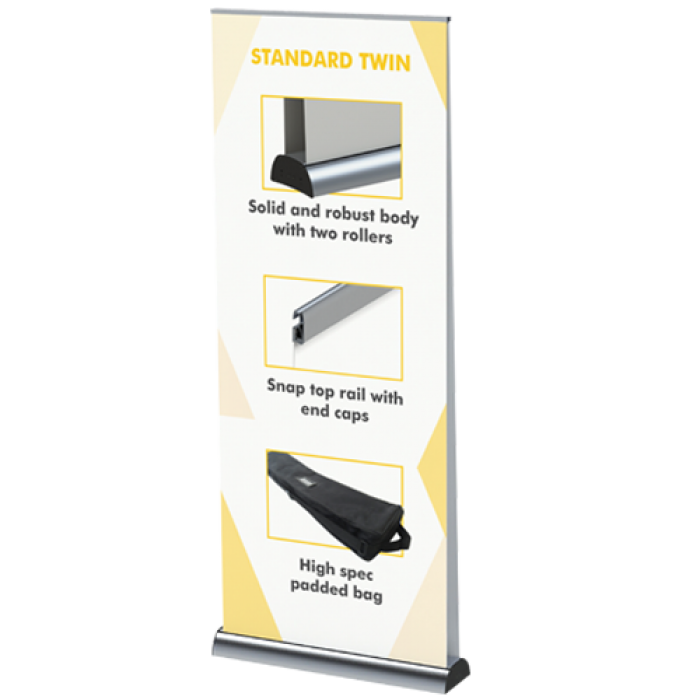 The purpose made carry cases which come as standard are the perfect tool to make these Roller Banners easy to transport, protected during transit and easy to store; the case will also prevent the vibrant paint work from fading unevenly if stored in direct sunlight. These stand alone advertisements are perfect for small spaces and can be printed on one or both sided, depending upon your needs. You can also stand two together to make one larger display. The cost effective and simple to set up design of our Roller Banners means that whether they are congratulating a newly married couple, promoting your business or giving new information, they will be hassle free and can only enhance your cause. As soon as you have decided upon the perfect style and design for your Roller Banner you are ready to contact one of our team here at UK Feather Flags Don’t forget that we have an incredible design team who can assist you with your artwork, we have an array of delivery options to suit you even if you are short of time and there is always one of our professional printers waiting at the end of the line to answer any questions that you may have.